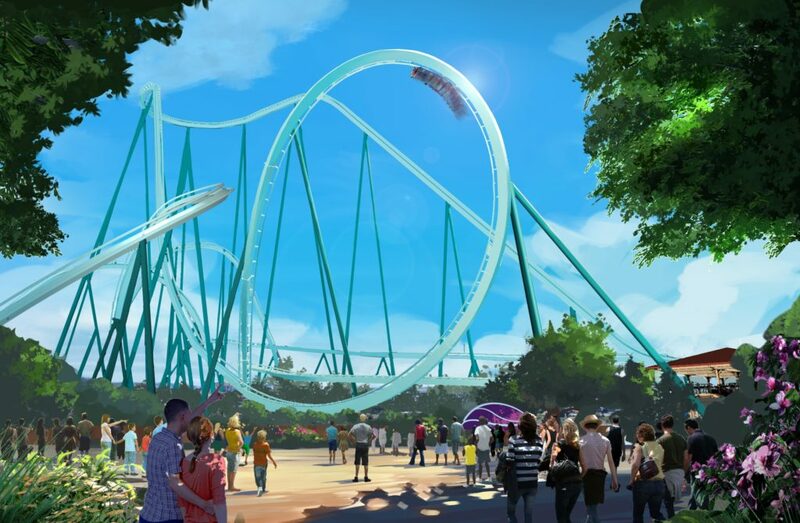 SeaWorld San Diego announces a dive coaster called Mako as its new attraction for 2020. This new roller coaster will be the tallest, fastest and longest dive coaster in California, as well as the only floorless dive coaster in the state. Climbing to 153 feet with their feet dangling in the air, riders will be suspended at a 45-degree angle at the crown of the ride before plunging down a 143-foot facedown vertical drop, accelerating to more than 60 miles per hour. Riders will also experience inversions, barrel roll, Immelmann loop, hammerhead turn and flat spin as they race along the nearly 2,500 feet of track. Each of the floorless ride cars will hold 18 riders in three, six-person rows. The animal-conservation element of the new attraction will focus on shark awareness and conservation, and will include a partnership with a shark conservation organisation. The coaster will be located adjacent to Journey to Atlantis in the southeast corner of the park in an area that is currently a car park. The coaster will be built by Bolliger & Mabillard, based in Switzerland.